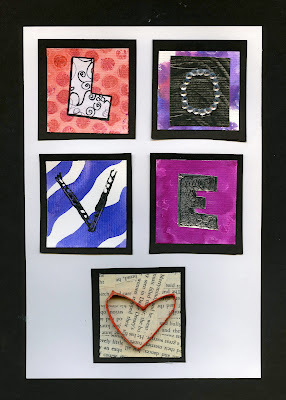 Here is a Valentine project that can be done 2 ways..... the kids can each make up their own collection of "inchies" or each child makes a class set of one type of "inchie" and then the kids do an exchange. 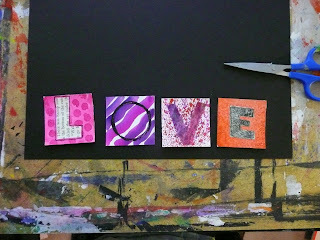 They are kinda of like miniature valentines that the kids can share. I find that focusing on friendship is the best route with the kids so if you wanted to do a small collection you might include the word "friend" instead of love like I have here. 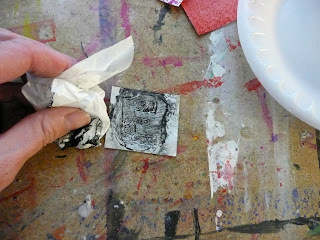 Now an "inchie" is supposed to be a 1 inch by 1 inch square but I find that a little too small for the kids so I make mine 2X2. 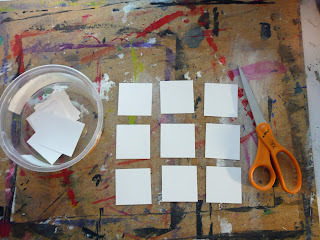 Now if you are having the kids make their own collection you will need to pre cut the squares. 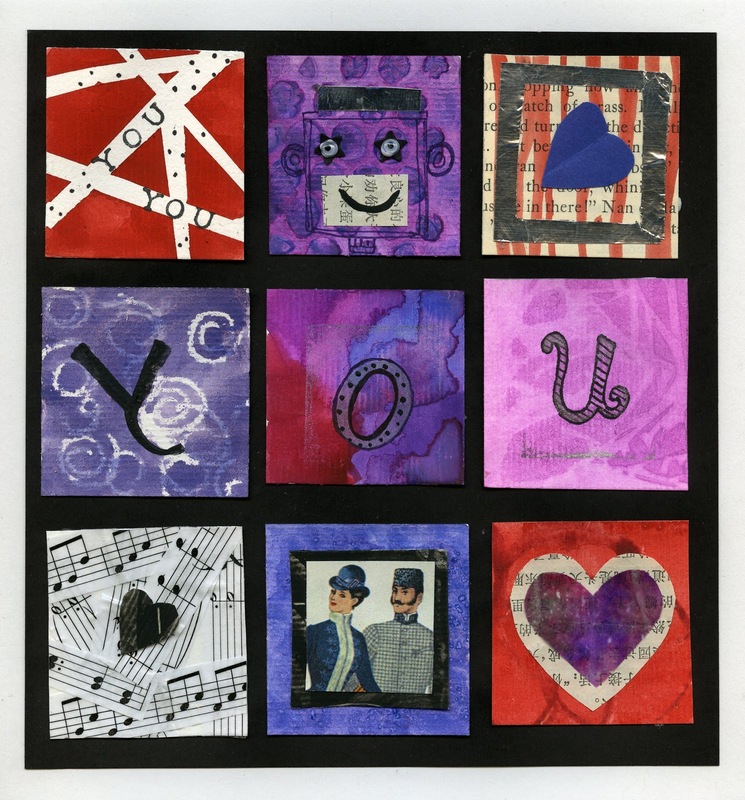 You can also keep a stash of inchies and have the kids make little samples from different art projects you do all year long....Great end of the year project! 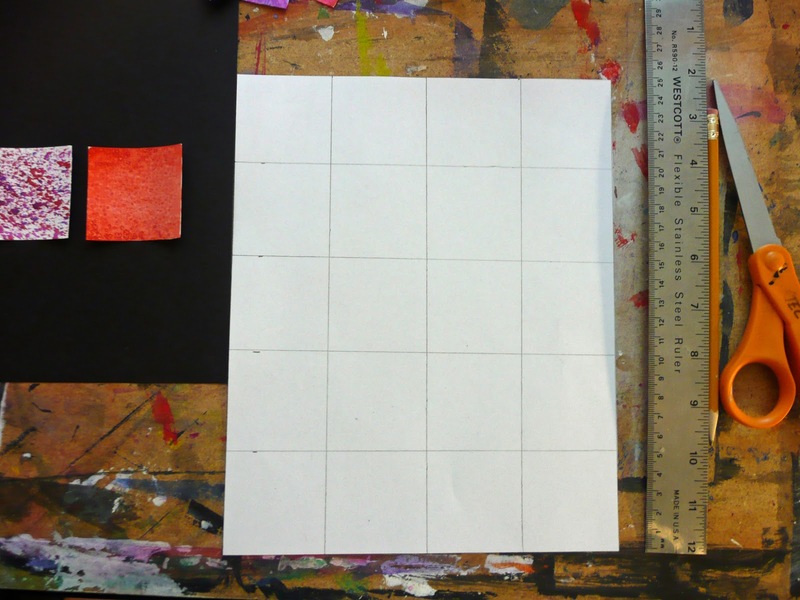 If each child is making a class set then you can measure out the squares but leave the paper whole...that way you can make the backgrounds all at once and then cut the squares. 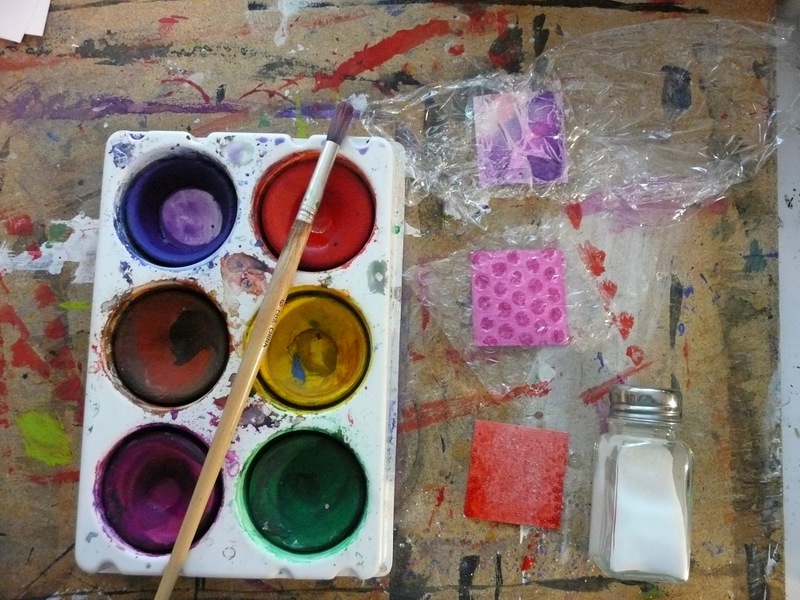 For your backgrounds you can pull out your all your tricks, plastic cling wrap, bubble wrap, salt, glue stamped, pastel or wax crayon resist, prints. 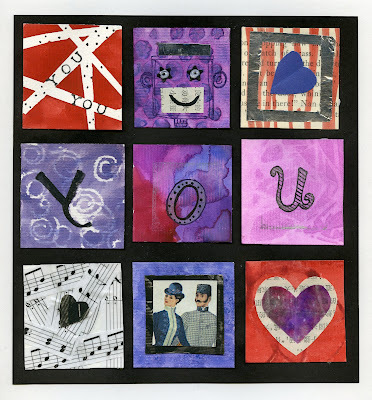 Once the backgrounds are done and dry you can plan out what you want to put on top, letters to spell out text, symbols, pictures,.......there are endless possibilities. 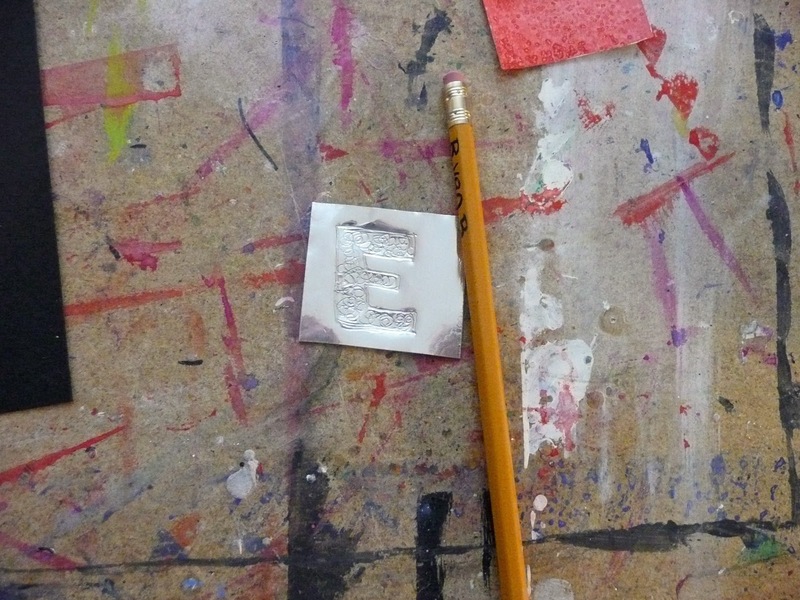 Here I am using a mini cup to print an "O". This is metal tape which can then be antiqued. Mount your collection on a background and you're done! Give a try and take care. Very neat Idea. I think the kids and I will be doing this project. Thanks for all the great ideas you share. Love the inchies. 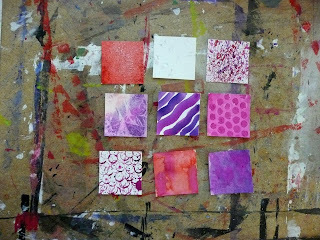 I was planning on an ATC swap between 2 of my classes.These ideas would work really well with that project. These are so sweet! They'd make a great class project. And I agree....the twinchies are a way better size than inchies for the little fingers! These are awesome! 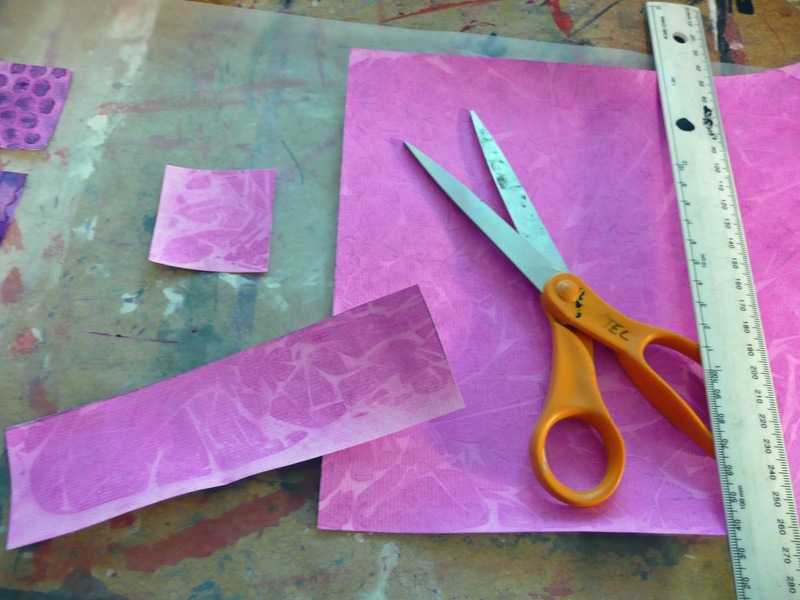 I would love to do this lesson with my students. Thank you for sharing this! 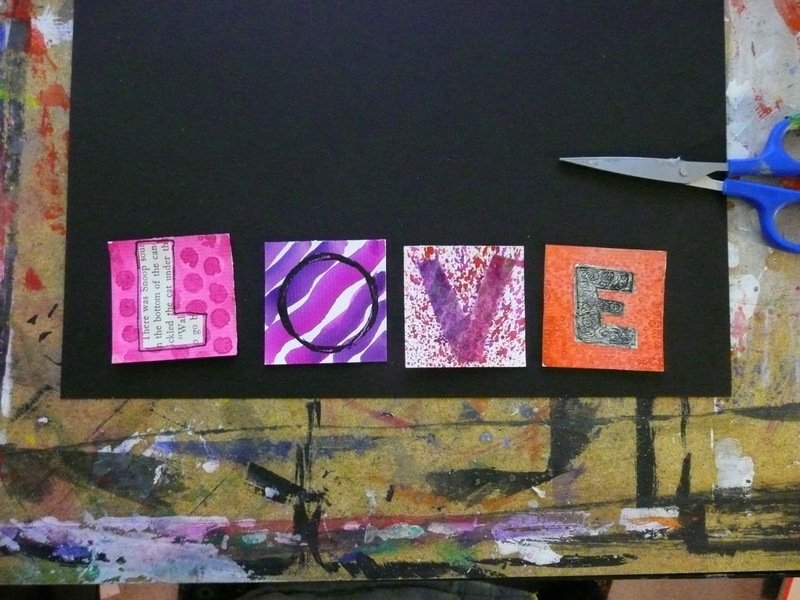 Hello, I am featuring this great post in my Wednesday and wandering about Valentine's Day. Thanks. Thank you for all of your inspiration. I have posted photos of our class projects at our blog: beattiechicks.blogspot.com Please see what you've inspired! Thank you over and over again! Gail, what kind of paint do you use? Are those tempera cakes? I'm trying to find a paint I can use with the little ones. Kindergarteners tend to abuse watercolors and liquid tempera is time consuming to distribute and clean, especially without an art room. I love this project idea, I'm going to try it with some of my older students. Thanks! I use tempera cakes or disks a lot. They are economical, easy clean up, and respond like watercolor. For Kinders they work very well. With the younger grades I keep the colors in seperate containers (marg. container) rather than in a tray of 6. 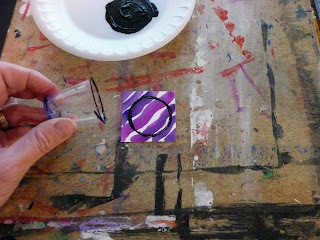 With a class I'll actually pour a little water into the container and have a paintbrush designated for that color. The kids then use the water in the container to paint with. That way I can put out just the colors we are using. Otherwise everything gets mixed and we end up with alot of muddy browns. Good Luck with the inchies! This is a great idea! I wish I could have started this one week ago, but I will surely be doing this to fulfill our "art party" for great behavior next week! Thanks for the post! These look wonderful! I'm looking forward to doing them at our little party on Friday. Thank you!